While we were in Arizona, we took a trip to Oracle. There, we toured an historic ranch house at the Oracle state park. The boys enjoyed seeing the big ice box used by the original family. I liked some of the paintings and decorative details. 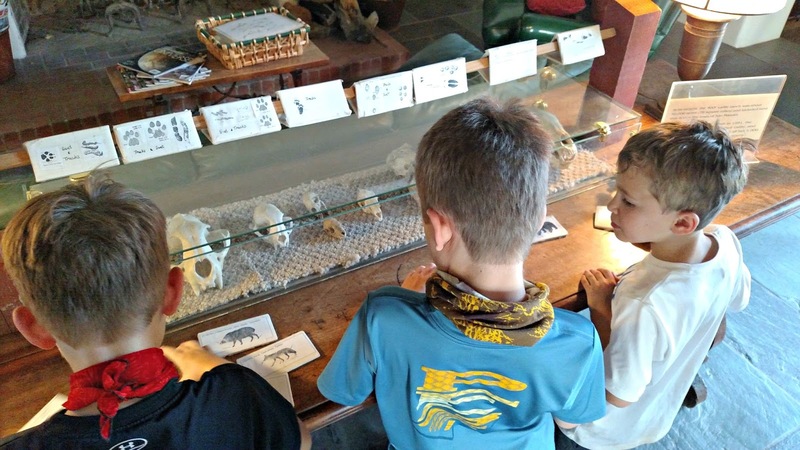 Here, the boys are attempting to match the skull to the animal track. They did a fairly good job. Branding irons, hanging on a wall. I knew what they were immediately, due to all the time I spent in Texas riding horses on a ranch. 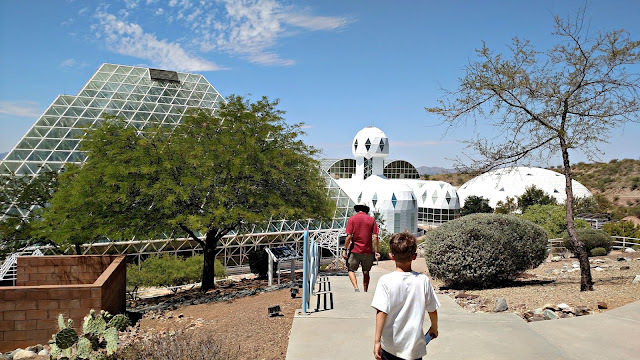 After our tour, we headed to Biosphere 2. 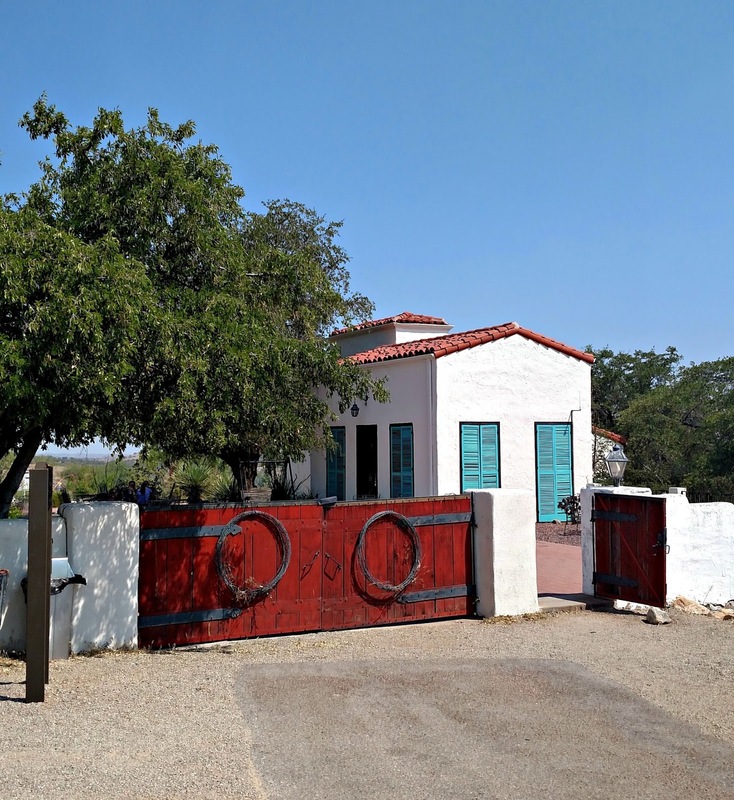 This facility was a closed experiment where a group of eight scientists attempted to live self-sufficiently for 2 years. They did make it 2 years, but air quality was compromised, and they lost significant weight because the food they grew had to be rationed so much. Impressive, isn't it? 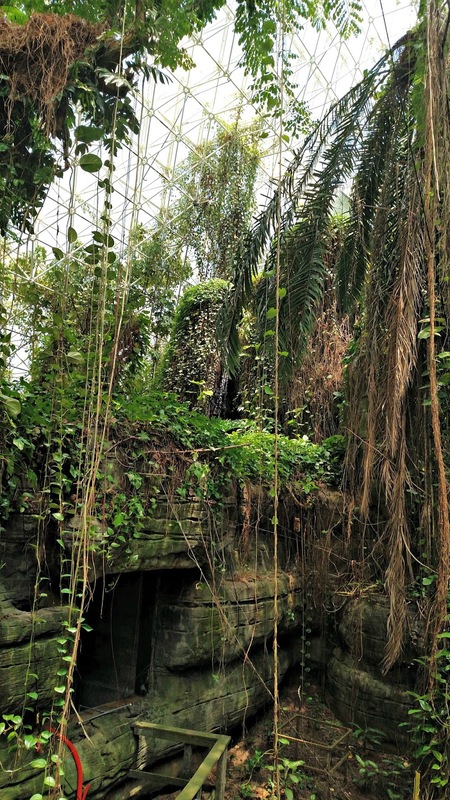 Perhaps you remember the mid 90s movie Bio-Dome, with Pauly Shore? I watched it in college. It was one of those intentionally stupid movies that were a hit with college kids. It was certainly based on this experiment (sadly, they were not playing Safety Dance on repeat inside). During our tour, we learned that their coffee bean plant only grew enough beans to brew each of them one cup of coffee once every two weeks. Rough, huh? It does make you think about the limited resources on earth and how the future might have to adapt. They tried to create different ecosystems inside. This is a picture of the ocean, which has waves, but they sound kind of mechanical. Today, since this is open to the public, it is no longer a closed system. However, they still do much scientific research here. The picture above is from the rainforest section. 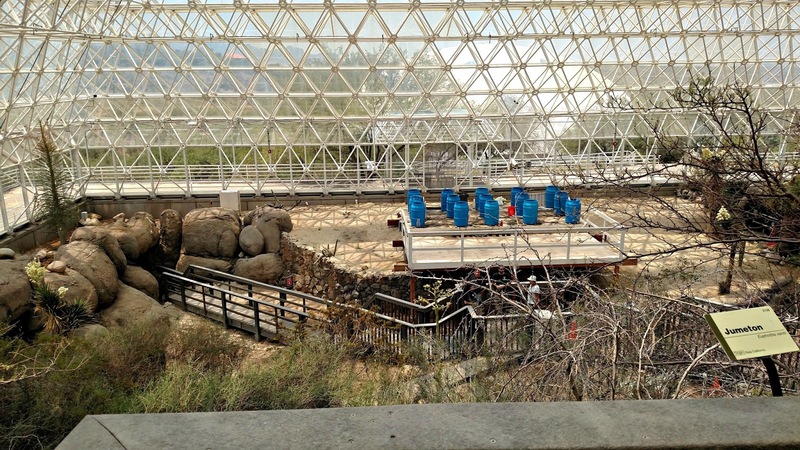 When the scientists were locked in, it had animals like monkeys and lizards. Going down through the basement was eye opening. The pictures I took didn't come out that well, but one of the strangest parts to the structure is a huge lung to expel air, should pressure build up too much. Finally, you can see a rain barrel system they have set up. 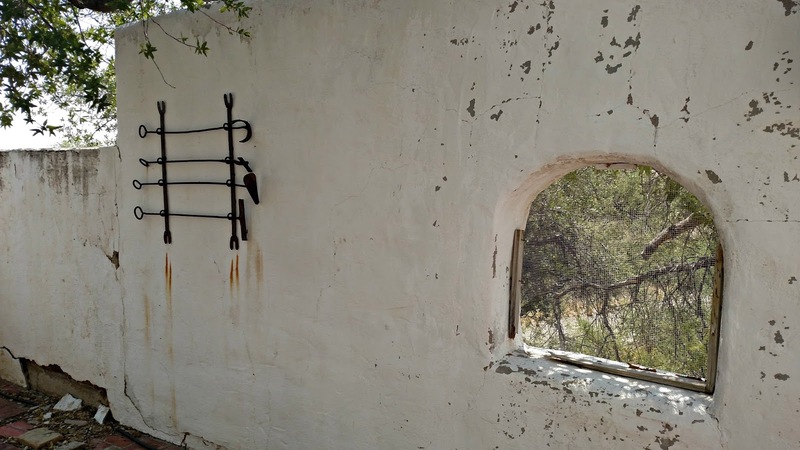 This was in the desert section of the structure. The tour was lengthy (90 minutes - long especially for little boys) but I did find it informative and thought-provoking. ...just the kind of place for little guys, well and for big guys too. I could not stand not being outside! These scientists must be very special kinds of people. I guess there were no comfortable beds even. And what did they do with all their time? The dome itself is very cool, though! It looks like a futuristic city! This was so interesting! Thanks for taking us along! 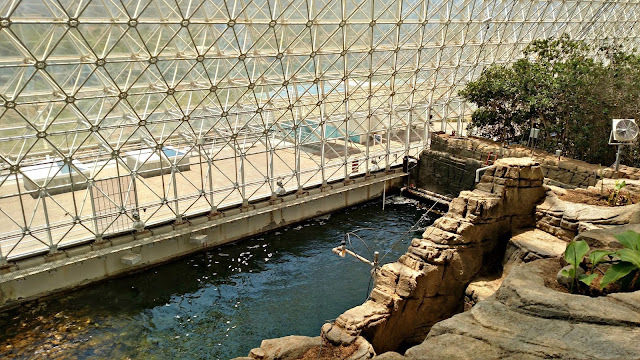 That biosphere is FASCINATING! Thank you for taking us on the virtual tour. I always enjoy that kind of stuff. 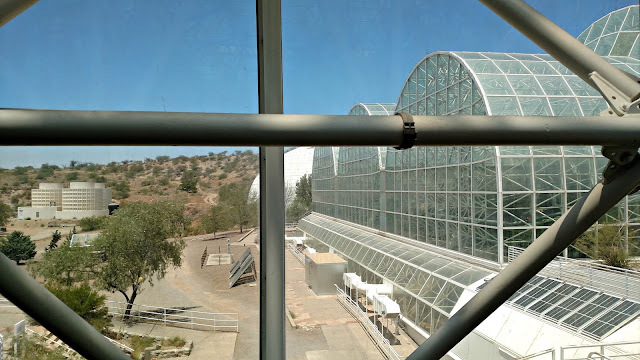 Very interesting Biosphere 2 tour. I can't imagine how life will be like when food and water are scare in the future. It must have been tough for the scientists for the 2 years. Oh wow! I've heard of this place. Glad you took us along for a tour. Amazing to see - Until now I'd never heard of these things . .
That's a great trip you took. I would like to get back out to New Mexico and Arizona, but it's a little far from North Georgia. Maybe one of these days. That looks like a great adventure!!! It sounds definitely worth seeing. We saw something similar-ish in Michigan. In one of the break-off rooms they were trying to grow a palm tree. It worked... to the point the tree had grown too large and was starting to break the glass roof. They had scheduled to have it removed and transplanted elsewhere, but man, what a job!! The next time we are in Arizona I would love to visit the Biosphere 2. Looks like you had a nice time. What a cool visit! 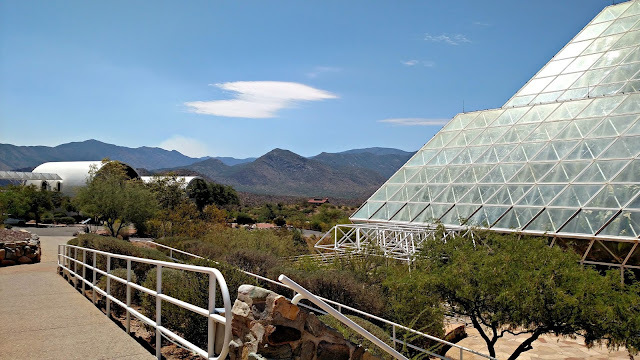 Oracle, AZ wasn't on my radar, so I completely missed these interesting places on our trip. The Bio-Dome sounds fascinating. It does make you think twice about wanting to preserve/conserve our natural resources and not take them for granted. What a cool place! It looks like you had such an awesome trip!